Mandi was a stay at home mom with two kids and 420 pounds. She was miserable and started blogging in an effort to get herself out of the cave of desperation. 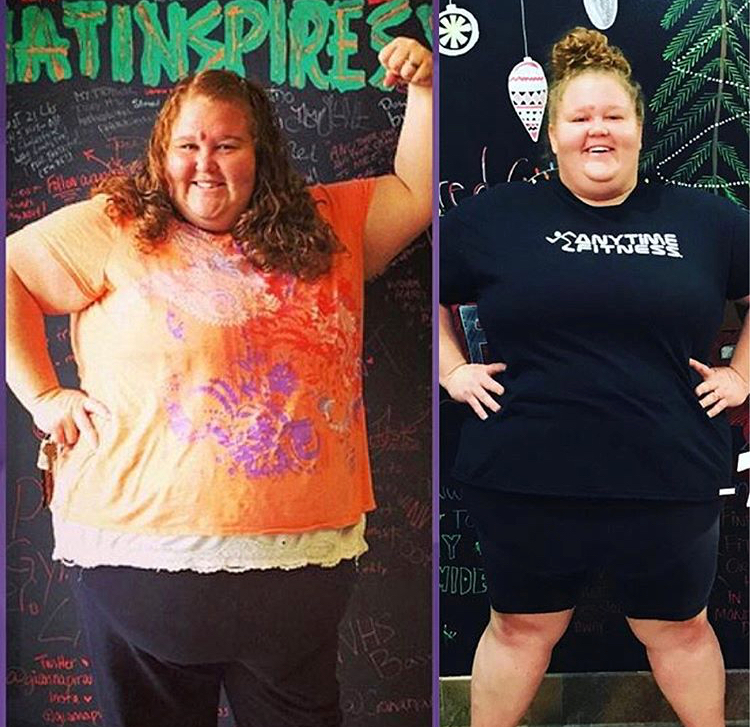 She finally festered the courage to walk through the doors of an Anytime Fitness gym and told them “You better sign me up before I change my mind.” From there she was paired up with trainer Rachel Koester and even started a fit support group for the gym. 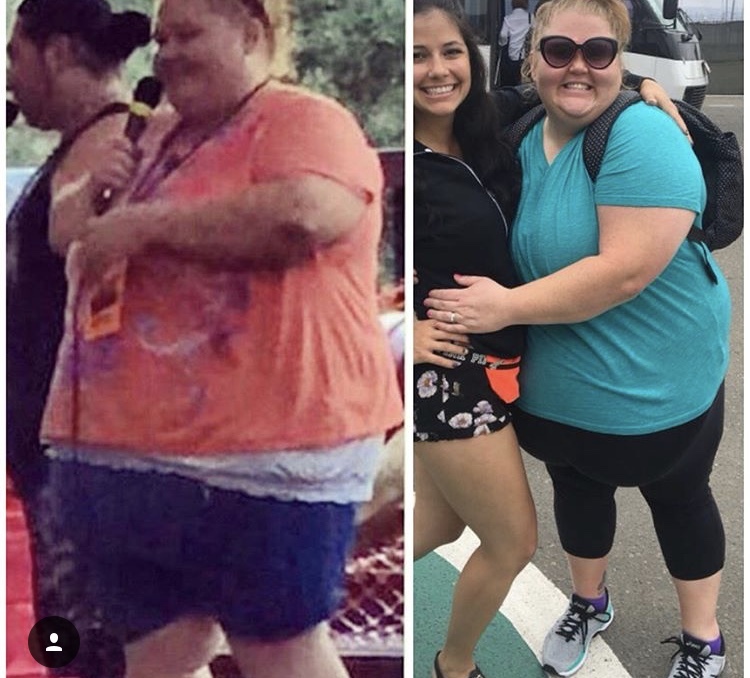 Jokingly calling herself the ‘Kimmy Gibbler’ of the gym after losing over 100 pounds and volunteering to run the support group she was offered a job. Now she is the manager of Anytime Fitness in North Reno, which has the largest amount of active members across the system. Let’s read through Rachel’s journey with hard work and determination that led her to success. You have done what most people only dream of, by losing over a 100 pounds. What motivated you to embark on this journey? I was so tired of feeling miserable and hating myself. I wanted to be a better example for my son and daughter. I wanted to be a mom who was able to participate in activities instead of watching them from the sidelines. In the course of your fitness journey, what role did your gym trainer play? The Anytime Fitness trainer I had was hugely important, as was the entire Anytime Fitness staff who rallied around me during that time and made me feel welcome and loved – to where I felt safe to come in and work on myself even though I felt extremely vulnerable. It’s invaluable to be shown exactly what to do and how to do it in a gym, especially if you can feel comfortable enough to let your guard down and begin to work on yourself. If a trainer can make someone feel comfortable and welcomed, they can change a life! When I first began my journey, I had to do a lot of modified movements, slower movements and light weights. Now, my fitness regimen consists almost exclusively of functional group training that is both high energy and sweat-inducing cardio circuits. I have a focus on strength training with weights and kettle bells. I think I have a great mixture of both cardio and strength training. Tell us about the diet that you follow to maintain a healthy weight. The diet has been the biggest struggle for me; people often think that working out is the hardest part but I have found that sticking to clean eating has been the most difficult for me. What has helped me the most is tracking through the Anytime Fitness app, trying to stay within the boundaries of my goals and consistent with what brought me the most success. How do you think our mental health affects our physical fitness? My entire journey began with working on my mental health. I would never have been able to make it to the gym had I not set up affirmations and been consistent with saying them out loud before actually gathered the courage to join. I began saying to myself over and over in the car each day, “I love the gym! I love to work out! I am full of energy!” Starting to say that was definitely a fake-it-till-you-make-it approach at first, but eventually it started to become true! I think that the mental and spiritual journey is just as important as the physical. Share with us your top 5 tips for someone who is looking to lose weight, say about a 100 pounds. Start with small goals! Focus on drinking enough water the first week and make that your only goal. And the next week, add to that by committing to walk for 10 minutes each day. I found that the smaller the goal, the easier it was to accomplish, and that slowly started to build my confidence to do more! Start logging and tracking your food! Even if you dont track macros or calories, becoming aware and accountable of what you’re eating is a game changer. Ditch soda in all forms. There is nothing our bodies need or gain from soda. Do not drink your calories! Drinking water, coffee and tea 99 percent of the time has significantly helped my weight loss. Find a gym/community/support group/tribe of people who can have your back your while also holding you accountable. They say you are the average of the five people you spend the most time with, so continuing to spend lots of time with people who just have a sedentary mindset will keep you there. You might have to find a new tribe to change your life! I always tell my members you can’t hate your body into a body you will love! Starting to catch yourself when you’re saying negative things about your body or yourself is a huge practice that I believe in. It changed how I saw myself when I turned from thinking about how gross and useless my body felt into truly appreciating this body that carries me through my life, carried two healthy babies and carried me through intense workouts despite years of abuse. Appreciation and gratitude is magic, so working on positive body image instead of obsessing over the things that you don’t like about yourself is a huge part of the process.